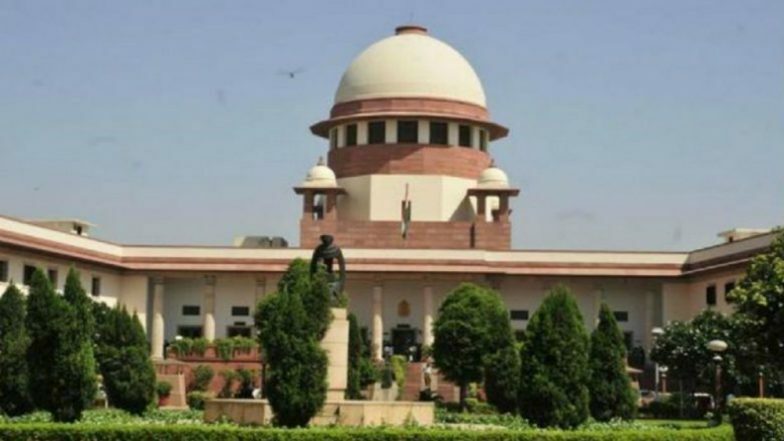 New Delhi, April 15: The Supreme Court on Monday rejected an application by activist Amrita Bhattacharjee who had challenged the construction of Mumbai Metro III Bus Depot on the grounds that the construction would drastically impact the area known as the green lung in Mumbai. Aarey Metro Car Shed: Bombay High Court Directs BMC to Address Complaint of Activists Opposing Axing of Trees. The Supreme Court in its observation said that the locations where the Metro III car shed is being built has already being studied by Technical Committee. The activist said that many including her were worried about Mumbai's air quality and the felling of the trees for the sake of construction of the Metro car depot. Her petition requested that an alternative site must be found in order to save the trees. A bench headed by Chief Justice Ranjan Gogoi and comprising Justices Deepak Gupta and Sanjiv Khanna dismissed the application. Former Attorney General Mukul Rohatgi represented the Mumbai Metro Rail Corporation LTD (MMRCL). Metro 3, also referred to as the Colaba Bandra-SEEPZ line, is a part of the metro system that will connect Cuffe Parade in south Mumbai to SEEPZ in the north-central Mumbai. The Coastal Road is an under-construction 29.2-km long freeway that would run along Mumbai’s western coastline connecting Marine Lines in the south to Kandivli in the north.